I wanted to do a fun project with the girls this weekend. Alexa ended up going to spend the night at her friend’s house, so it was just a Maren and Me project. I created two 20X20 pillows. One for each of us. Step 1: Measure out your fabric :: Believe it or not, for a 20X20 pillow, you only need to cut two 20X20 pieces of fabric. You can even do 19X19 if you want an extra plump pillow. You want it a little tight for your pillow, so that it looks really full. I choose a duck cloth, which I got on sale for 4.89 a yard. Step 2: Zipper placement :: This part is tricky. 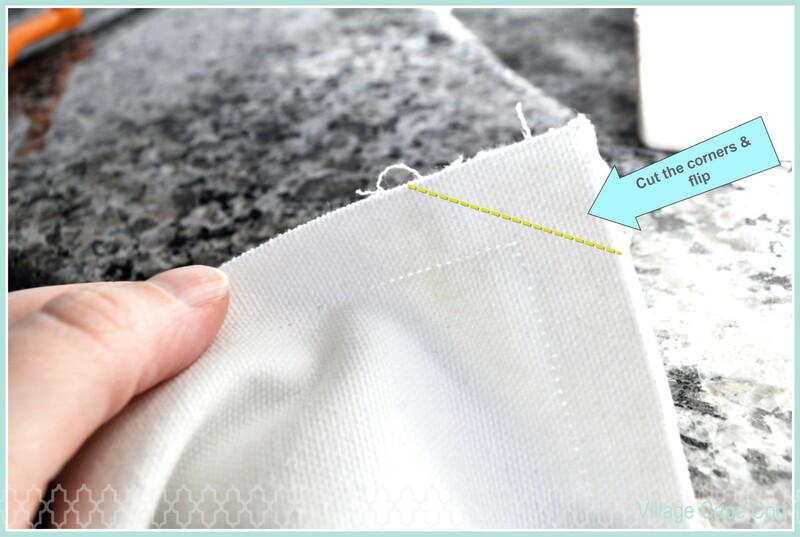 You want to place the invisible zipper face down on the right side of your fabric. 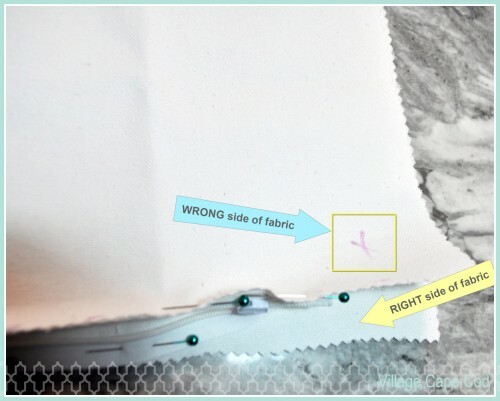 I put an “x” mark on the wrong side of my fabric, since mine is white to keep it straight. 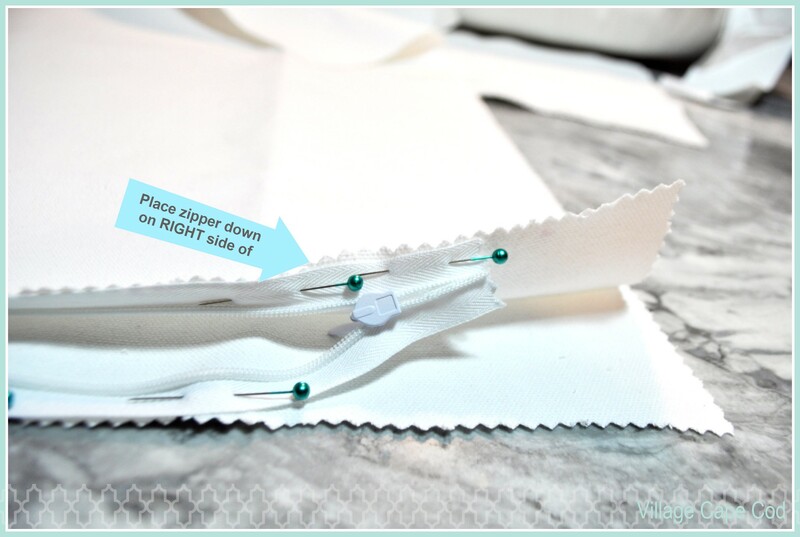 Step 3: Sewing the zipper :: I don’t have a zipper foot, but if you do – put it on now. I just use my regular foot and get as close as I can. In between sewing the two different sides, unzip it to make sure none of the thread got in the way of the zipper keeping it from unzipping. I use my seam ripper if it did to cut through the few threads. 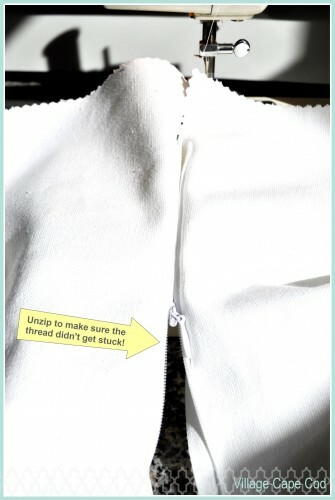 Step 4: Sew the pillow :: Unzip the zipper and then sew all the sides, just don’t sew where the zipper is. 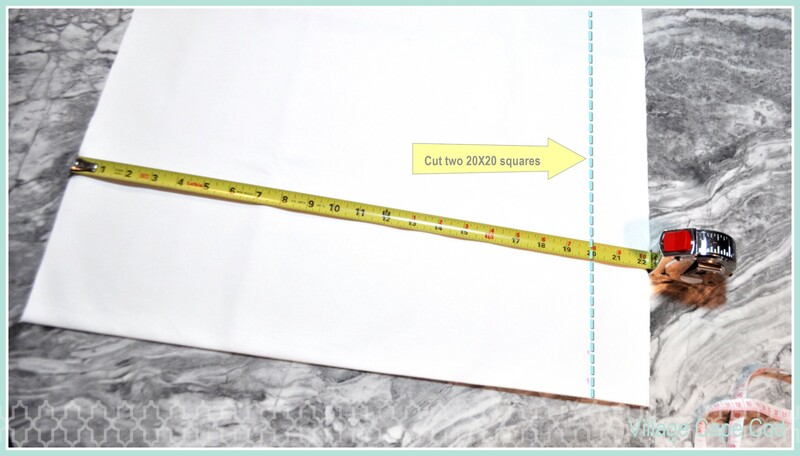 Step 5: Cut the corners :: Cut the corners to let it lay flat and then flip inside out. Stuff the pillow and you are done! I bought my pillow inserts at Pottery Barn and Restoration Hardware. They are well worth the costs. They will last you for years, where other ones I’ve had are done and flat in six months.